What an amazing time and great end to the YoungStarters summer program. The final day and celebration party of the program took place on August 31st. Everyone arrived at the Gordon Neighbourhood House where the party was to take place. 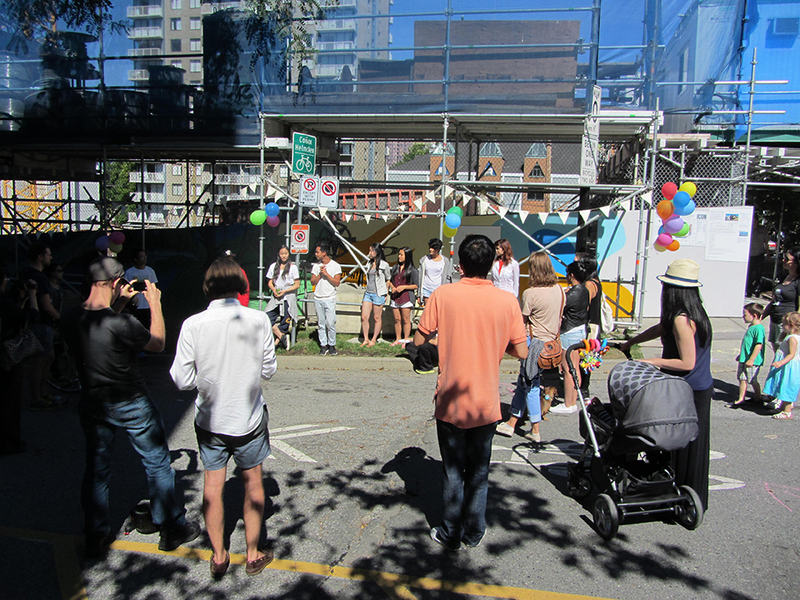 A table was prepared with delicious Venezuelan food, balloons were blown up and bunting flags were strewn on the corner of the mural site and in front of the Gordon Neighbourhood House. 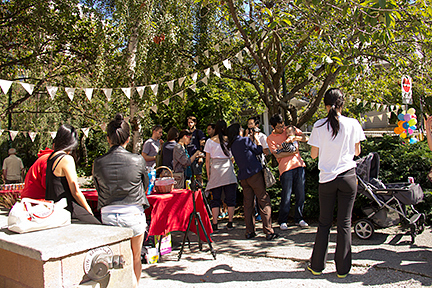 A team of YoungStarters invited people from the neighbouring farmer''s market in Nelson Park to visit, while the people from the community walking by joined the party. By 2pm, the streets were full of people from the West End community looking at the mural, dancing, eating and speaking to the YoungStarters about their project. Elfred made a congratulatory speech to all the YoungStarters and their hard work. 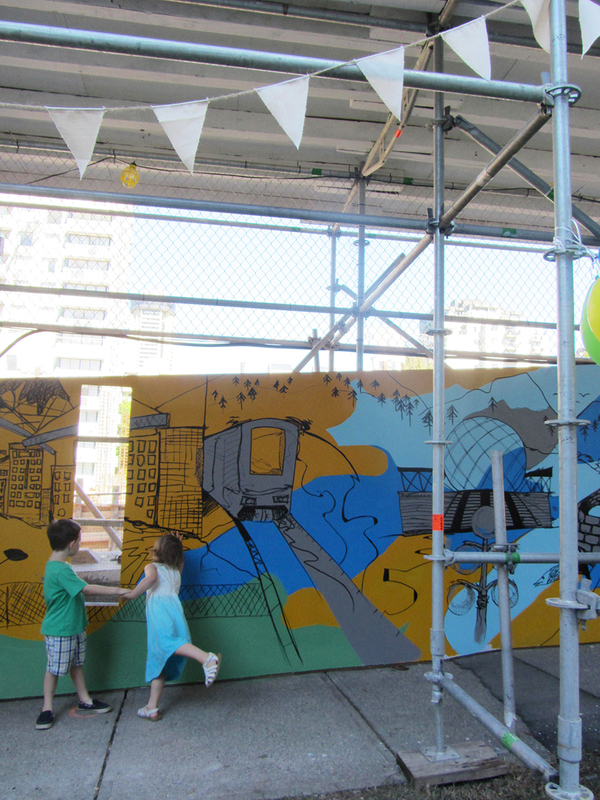 He also spoke to the community about how the idea of "Vancouver Shapes Me By…" came to be and how it evolved through the creative collaboration of the YoungStarters, the Gordon Neighbourhood House and the broader community. 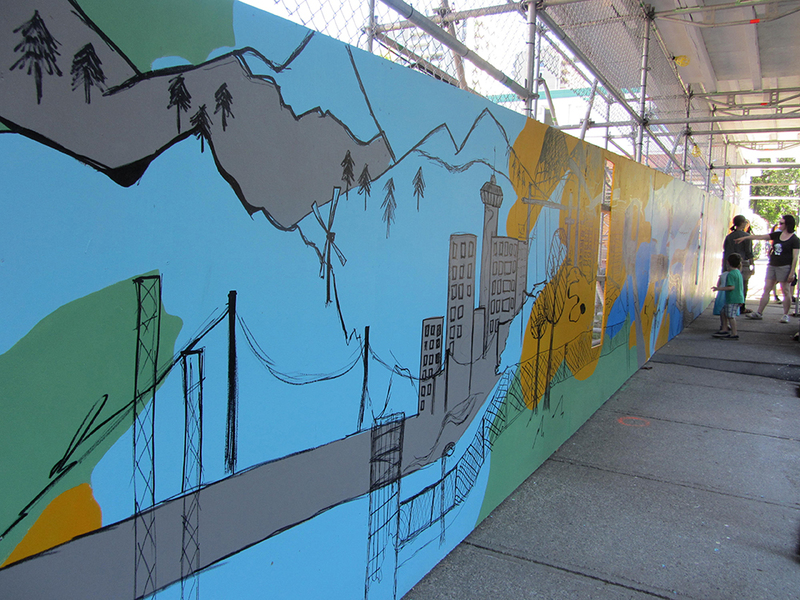 The mural, Vancouver Shapes Me By…, will be installed on Comox Street (at Broughton Street) for the entire duration of the construction development. With the YoungStarters summer program officially ended, we congratulate the great efforts of each of the YoungStarters for their incredible work. Great job!